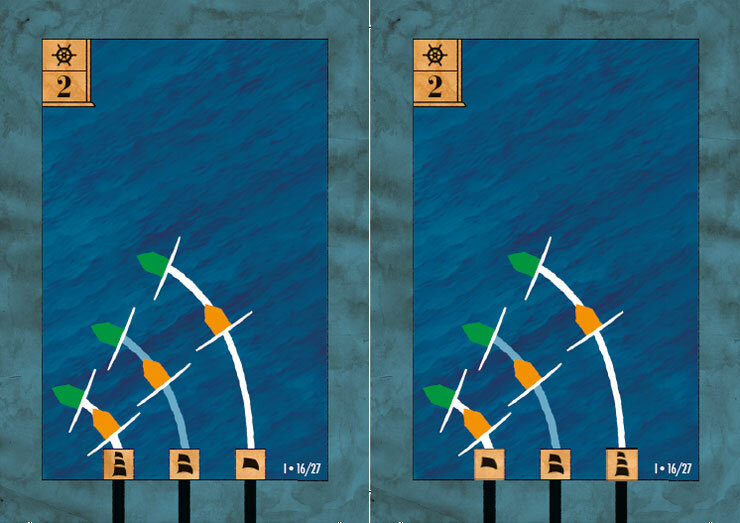 Card #2: wrong (left) and fixed(right). 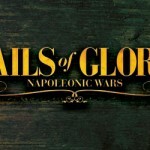 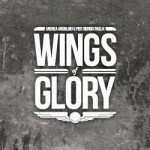 In the Sails of Glory Special Ship Pack HMS Victory, there's a misprint on the #2 and #8 maneuver cards. 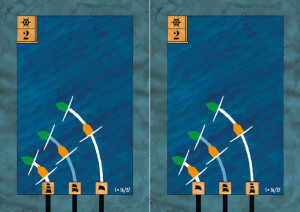 The icons at the base of the cards are in reverse order: the Backing Sails symbol should be below the short maneuver arrow; the Full Sails symbol should be below the long maneuver arrow (see the wrong and the corrected versions of these cards in the image). 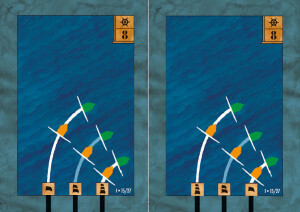 Card #8: wrong (left) and fixed (right). 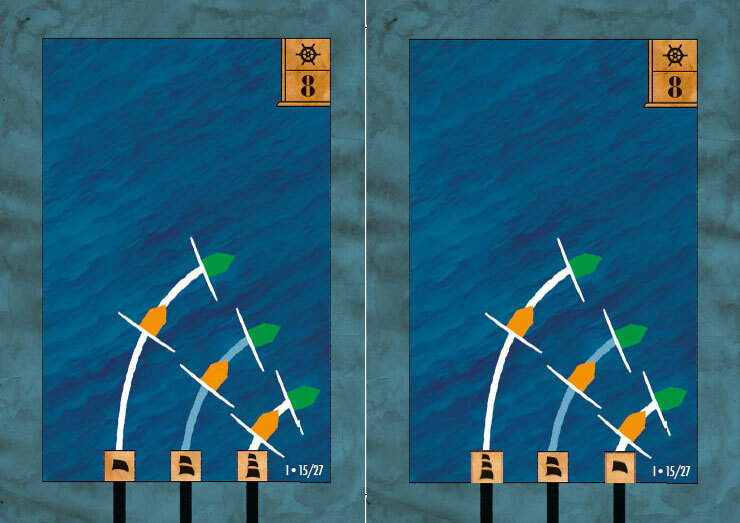 A PDF file with the corrected versions of both cards is available for download from the link below.